Do you have a stump you need removed from your yard? Let the experts handle the job. 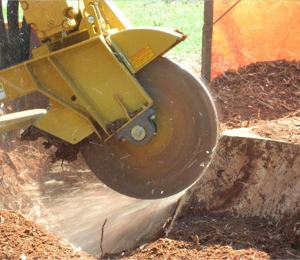 During the stump removal process, our professionals grind down your tree stump into dust or chips. We’ll take those away if you want, but you can also use that dust or chips for ground cover or other garden landscaping purposes. It takes years of experience to remove and grind stumps safely. At Las Vegas Superior Tree Service, we’ll grind or crush your stump below the ground’s surface so you can plant, cover, or revitalize the area and create the appearance that nothing was ever there.